Metformin lowers insulin resistance which helps glucose to be moved from the bloodstream to the cells (The science: Reducing insulin resistance with metformin: the evidence today). Metformin used alone results in some weight loss (The science: 10-year follow-up of diabetes incidence and weight loss in the Diabetes Prevention Program Outcomes Study). Here’s the paradox. If insulin is only used for pushing fat into cells then Metformin, by lowering insulin resistance should increase weight, right? What am we missing here? One obvious answer is that insulin is the key to both pushing fat into cells as well as releasing fat from cells. Lowering insulin resistance helps take the fat from the cells and explains Metformin’s advantages. Metformin is like a key which opens the lock and allows glucose in and out of cells. I know from my own experience that even after 5 years on the pump Metformin still helps my blood sugar levels – by roughly 20 points when taken at bedtime. Instead of waking up at 140 I wake up at 120 by taking Metformin before bed. Metformin lowers insulin resistance. Lowering our insulin resistance both helps us take up the glucose from our blood into our cells and helps us lose weight. Take note, I am not saying any of this to advocate for Metformin. The same study showed that Metformin can delay the onset of diabetes by as much as 10 years if given to pre-diabetics. But it is still only a delay. The connection between insulin and weight gain is well understood and acknowledged. From the Mayo Clinic website. When you take insulin, glucose is able to enter your cells, and glucose levels in your blood drop. This is the desired therapeutic goal. But if you take in more calories than you need to maintain a healthy weight — given your level of activity — your cells will get more glucose than they need. Glucose that your cells don’t use accumulates as fat. They pulled out the old tried-and-believed-to-be-true words. That don’t work at all. Nothing makes you feel deprived more than counting your calories. Skipping meals allows your insulin levels to drop. Exercise sounds good in theory but rarely ever gets put into practice. Get more meds which are going to push harder to get the glucose out of the blood into your cells? Sounds like the kind of advice you’d give someone for weight gain, not loss. Finally, don’t go off your insulin for weight loss purposes. Most of what they say is well-intentioned but completely wrong. All of this explains why we got fat but doesn’t really help us get control of our insulin resistance. Why not tell people that they can skip meals as a way of getting their insulin resistance to improve? Are they so afraid someone will go too low that they don’t want to see people improve their core issue? Here’s what the advice should be when targeted towards improving insulin resistance. Don’t count calories. Nothing makes you feel more deprived than counting calories and nothing sets you up for feeling more like a failure. Restricted calorie diets lower your metabolism and you will be worse off for years after the diet since your set point will then be lowered. Skip meals. At the very least don’t eat just because it’s time to eat. Eat because you are actually hungry. Understand that the fast you did from 7 PM to 7 AM could be stretched out till noon without harming you. Exercise is always good. If you fast you get more energy and more active naturally. Exercise has lasting effects on blood sugar levels. Find a doctor who is willing to work with you and explore options that he may not have learned about in medical school. At the very least one that understands what the meds she prescribes to you do and their effects on insulin resistance. At least find a doctor that acknowledges your problem is insulin resistance. (Added List of Low Carb Doctors). All other things being equal, you can only reduce your insulin needs by lowering your insulin resistance. The goal, therefore, is to figure out how to reduce your insulin usage. Don’t just stop taking insulin and let your insulin levels get really high. I’ve lost a friend recently to DKA so I take this very seriously. She was an undiagnosed T2D but in retrospect she had all of the external markers of a T2D adult. It might be beneficial to do a post on each of the above treatment points but focus the points on the treatment I am doing now, 18/6 Intermittent Fasting. Who would have thought that lowering insulin use while keeping blood glucose levels stable was even possible? I don’t remember hearing that in my pump training class. They talked about how to increase insulin not decrease insulin. Who would have thought that it would be this easy to better regulate their blood sugar levels? Skipping breakfast and lunch sounds too simple. We fast every day. If we ate our last meal or snack at 8 PM and eat breakfast the next day at 8 AM we’ve just done a 12 hour fast. But for insulin resistant people the Dawn Syndrome robs us of the advantage of that fast. We wake up and our numbers are higher than they should be. Increasing our pump basal amounts doesn’t help either. (In fact, if this model is right it makes it even worse). How is extending the fast by 4-8 hours beneficial? Well, instead of stepping up from our early number (as breakfast does) we keep steadily going down in blood sugar levels. Dr Feng’s view is that there’s a transition from using stored energy in the liver to stored energy in the body’s fat cells themselves. That transition is how we lose weight and affect the insulin resistance. A few drugs, like Metformin, can help, but not enough over a long time, We’ve got to extend our reset period and the best way to do that is through fasting. The main shift in thinking was going from believing that insulin is a neutral substance which only helps to lower blood sugar. If insulin itself is the problem then treating with insulin is throwing fuel on that same fire. No wonder we keep getting sicker and sicker. Insulin is a hormone made by the pancreas that allows your body to use sugar (glucose) from carbohydrates in the food that you eat for energy or to store glucose for future use. The same site says this. People with type 2 diabetes do not respond well or are resistant to insulin. They may need insulin shots to help them better process sugar and to prevent long-term complications from this disease. Persons with type 2 diabetes may first be treated with oral medications, along with diet and exercise. Since type 2 diabetes is a progressive condition, the longer someone has it, the more likely they will require insulin to maintain blood sugar levels. So let’s try and follow the conventional wisdom. Eventually oral meds will need to be replaced with insulin in T2Ds. That’s the best they have to offer on these sites. The problem isn’t blood sugar levels it’s our response to insulin. No real insight is given on how to improve insulin resistance. No comment on the underlying problem at all. Here’s my ten day progress report on fasting from back in Aug 2016. Here’s a plot of my insulin over the last month or so. I started the 16/8 Intermittent Fast (skip breakfast and lunch) about 10 days ago. My daily insulin levels have gone from around 100 units a day to 55 units a day. All by skipping breakfast and lunch and just eating later (5PM-11PM). I have had good blood glucose numbers over the same period. Here’s the chart over the last 30 days. It is worth noting that most of the days earlier my bolus was around 30% of the total and the basal was around 70%. That was because there were days where they were 50-50. But most days were much lower. If the recommendation is 50%-50% then my basal was set too high. Yet I never went low. Something is really broken with this whole ever-increasing insulin model. Fasting seems like a great reset to the ever-increasing insulin model. I am not sure how fast to drop my basal rates. I am now at 26 Units for the day. I think I will drop the insulin every other day by .25 Units per hour. Nobody else should do what I am doing just because I am doing it, please. You can see how careful I am being to make sure I don’t go high. In searching for the solution to Insulin Resistance I ran across the concept of the Intermittent Fast. The guy who’s most prominent in this is Dr. Jason Fung. Here’s Dr Fung’s YouTube channel. He’s got quite a few videos. One of the better ones is about an half hour long. T2D is reversible – it doesn’t have to be chronic and progressive. There are examples of people who have stopped being diabetic (via diet, weight loss, etc). Drugs only treat the symptom not the disease. T2D is a disease of too much Insulin Resistance. Treatments are targeted at blood sugar not Insulin Resistance (Metformin being an exception albeit temporary in effect). The blood sugar isn’t the problem, it is the insulin levels that are the problem. In 10 years, you are at 100 units of insulin (that’s me). Never actually treated insulin resistance. Patients who reversed their disease did so by fixing their insulin resistance. Giving insulin to a T2D is like giving alcohol to an alcoholic. Scenario: start insulin, gain 15-20 lbs. Complain to MD who says “go exercise”. It was the insulin which caused the weight gain. Disease of too much sugar. Cut out the sugar/refined carbs. Stop taking sugar. Fasting is the most effective way to lower insulin. LC will lower sugar but not necessarily insulin. Sugar will drop but not necessarily insulin. Fasting – body will start burning sugar. After that body will start burning fat. People fast around the world through their entire lives – most major religions. Insulin levels drop during a fast. Burn off sugar from your system. Does both at once. Fasting is not harmful. You don’t enter starvation mode. The metabolism increases during the fast. Great video. Next post I take a look at my own person experience at this. I think there’s some useful insight into one Oral Diabetes medication in the following originally from Aug 8, 2016. From Wikipedia, here’s why Metformin (How Metformin Works) is a good drug for dealing with Insulin Resistance and, for me, worked well for years. Gluconeogenesis is also a target of therapy for type 2 diabetes, such as the antidiabetic drug, metformin, which inhibits glucose formation and stimulates glucose uptake by cells. The phrase “stimulates glucose uptake by cells” is equivalent to “helps lower insulin resistance”. From this paper (Hundal RS, Krssak M, Dufour S, et al. Mechanism by which metformin reduces glucose production in type 2 diabetes. Diabetes. 2000;49(12):2063-9), you can see why Metformin works and how it doesn’t quite work well enough in a diabetic person. The rate of glucose production was twice as high in the diabetic subjects as in control subjects (0.70 ± 0.05 vs. 0.36 ± 0.03 mmol · m−2 · min−1, P < 0.0001). Metformin reduced that rate by 24% (to 0.53 ± 0.03 mmol · m−2 · min−1, P = 0.0009) and fasting plasma glucose concentration by 30% (to 10.8 ± 0.9 mmol/l, P = 0.0002). So diabetics produced 2x the insulin of non-diabetics (100%) but Metformin only reduced that rate by 24%. Better than nothing but not nearly enough to make the diabetic person “normal”. And insulin resistance is a progressive disease by which the cells get better and better at not unlocking for insulin. Going on in the paper. The rate of gluconeogenesis was three times higher in the diabetic subjects than in the control subjects (0.59 ± 0.03 vs. 0.18 ± 0.03 mmol · m−2 · min−1) and metformin reduced that rate by 36% (to 0.38 ± 0.03 mmol · m−2 · min−1, P = 0.01). By the 2H2O method, there was a twofold increase in rates of gluconeogenesis in diabetic subjects (0.42 ± 0.04 mmol · m−2 · min−1), which decreased by 33% after metformin treatment (0.28 ± 0.03 mmol · m−2 · min−1, P = 0.0002). It keeps getting better. A diabetic person is 3x better at gluconeogenesis but Metformin was only able to reduce that so that the diabetic person was at 2x the normal person. And note, Metformin is about as good as it gets in that category of drug. Looks like it can help, but not solve the issues with gluconeogenesis. Something is better than nothing but don’t get lulled (like I was) into assuming all is well. If we keep filling up those protein stores than the same problem which happened to us with carbs will also happen to us with proteins. A randomized, double-blind, placebo-controlled trial to test whether metformin improves liver histology in patients with non-alcoholic fatty liver disease (Scand J Gastroenterol. 2009;44(7):853-60. Metformin in patients with non-alcoholic fatty liver disease: a randomized, controlled trial. Haukeland JW1, Konopski Z, Eggesbø HB, von Volkmann HL, Raschpichler G, Bjøro K, Haaland T, Løberg EM, Birkeland K.). Forty-eight patients with biopsy-proven non-alcoholic fatty liver disease (NAFLD) were randomized to treatment with metformin (n=24) or placebo (n=24) for 6 months. Treatment with metformin for 6 months was no better than placebo in terms of improvement in liver histology in patients with NAFLD. Could it be because the liver is already full and can’t get fatter? I still thought it was protein in the diet that was the problem with GNG. There’s some dispute in the literature about whether GNG is affected by the fat in the liver or not (Nutrients. 2013 May; 5(5): 1544–1560. Non-Alcoholic Fatty Liver Disease (NAFLD) and Its Connection with Insulin Resistance, Dyslipidemia, Atherosclerosis and Coronary Heart Disease Melania Gaggini, Mariangela Morelli, Emma Buzzigoli, Ralph A. DeFronzo, Elisabetta Bugianesi, and Amalia Gastaldelli). It looks like the final word may be in this study (Gastroenterology. 2007 Aug;133(2):496-506. Epub 2007 May 1. Relationship between hepatic/visceral fat and hepatic insulin resistance in nondiabetic and type 2 diabetic subjects. Gastaldelli A1, Cusi K, Pettiti M, Hardies J, Miyazaki Y, Berria R, Buzzigoli E, Sironi AM, Cersosimo E, Ferrannini E, Defronzo RA.). The study found that fat in the liver wasn’t the source of GNG, but visceral fat tissue. Excess VAT primarily increases GNG flux. 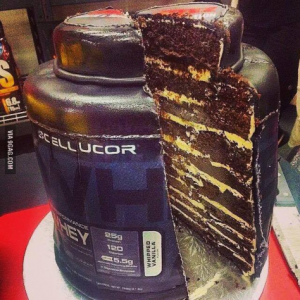 Protein doesn’t turn to chocolate cake. Your Dawn Syndrome isn’t from the chicken you had last night. It’s from the cookies you ate three years ago. I’ve spend time thinking about Gluconeogenesis (GNG). That’s the process where the liver creates glucose from other substrates, including Protein. Earlier on I though Protein was the culprit and was limiting my Protein intake. I don’t believe that was the problem. I believe that the problem was that my liver was overproducing glucose because it was overly fat. And it turns out that the liver of a diabetic is particularly good at gluconeogensis. From this paper (Diabetes. 2000 Dec; 49(12): 2063–2069. Mechanism by Which Metformin Reduces Glucose Production in Type 2 Diabetes. Ripudaman S. Hundal, Martin Krssak, Sylvie Dufour, Didier Laurent, Vincent Lebon, Visvanathan Chandramouli, Silvio E. Inzucchi, William C. Schumann, Kitt F. Petersen, Bernard R. Landau, and Gerald I. Shulman) GNG is shown to be around 2x as good as a non-diabetic. The rate of glucose production was twice as high in the diabetic subjects as in control subjects (0.70 ± 0.05 vs. 0.36 ± 0.03 mmol · m−2 · min−1, P < 0.0001). Want to spend a very confusing day? Watch a bunch of TED talks on the T2D subject by different speakers. Vegetarian guy who says meat is the problem with everything that ails us. His buddy the vegan weightlifter. Another vegetarian guy. They tell me I am not getting enough starch. They have not got the slightest clue about insulin resistance. My conclusion is they own stock in casket manufacturers. Paleolithic diet critic who is an archaeologist who points out the holes in the Paleo diet. Seems like the truth is we no longer have the ancient grasses food nor range fed animals so we are pretty much screwed either way. Food pyramid critics who say all those carbs aren’t all that good for us. (All of them fall into this category). Fat has been good for us all the way along woman. She is right. The belief that fat makes us fat is flawed and disproven. Guy who says everything we can possibly eat is poison. Sugar is the problem guy. Throw out the food pyramid woman. Fits in with Low Carb advocates. They all have some unique insights. They all have some overlapping points. The last one is the best (IMO) of all of the talks. Carbs are making us sick. Cutting carbs helps T2Ds by lowering their insulin. 40%+ of heart attacks are caused by insulin resistance. Lowering carbs lowers insulin requirements. Diabetes is reversible via low carb diet. Protein and carbohydrates all create glucose. Fat is what remains and it is good. Practically this means eating food from the outside ring of the supermarket. Nothing out of the middle rows. No pasta, no cereal, nothing made of wheat, none of the processed foods in the middle. Outside ring is vegetables, meat, dairy, eggs. Maybe 15% of the stuff in the store. Here are Studies specifically on the effects of diets on Diabetes (particularly low carbohydrate diets). Laura R Saslow, PhD, et.al. An Online Intervention Comparing a Very Low-Carbohydrate Ketogenic Diet and Lifestyle Recommendations Versus a Plate Method Diet in Overweight Individuals With Type 2 Diabetes: A Randomized Controlled Trial. J Med Internet Res. 2017 Feb; 19(2): e36. Guenther Boden. (2005). Effect of a Low-Carbohydrate Diet on Appetite, Blood Glucose Levels, and Insulin Resistance in Obese Patients with Type 2 Diabetes. Ann Intern Med. 2005; 142(6):403-411. Mary C. Gannon and Frank Q. Nuttall. Effect of a High-Protein, Low-Carbohydrate Diet on Blood Glucose Control in People With Type 2 Diabetes. Diabetes 2004 Sep; 53(9): 2375-2382. Jørgen Vesti, Nielsen, Eva Joensson. Low-carbohydrate diet in type 2 diabetes. Stable improvement of bodyweight and glycemic control during 22 months follow-up. Nutrition & Metabolism, December 2006, 3:22. Diabetes Care 2002 Apr; 25(4): 652-657. Effects of Energy-Restricted Diets Containing Increased Protein on Weight Loss, Resting Energy Expenditure, and the Thermic Effect of Feeding in Type 2 Diabetes. N.D. Luscombe, BSC HON1, P.M. Clifton, MD2, M. Noakes, MSC, PHD2, B. Parker, BSC HON1 and G. Wittert, MD. JAMA. 1994. Effects of Varying Carbohydrate Content of Diet in Patients With Non—Insulin-Dependent Diabetes Mellitus. Abhimanyu Garg, MBBS, MD; John P. Bantle, MD; Robert R. Henry, MD; et al Ann M. Coulston, RD; Kay A. Griver, RD; Susan K. Raatz, MS, RD; Linda Brinkley, RD; Y-D. Ida Chen, PhD; Scott M. Grundy, MD, PhD; Beverley A. Huet, MS; Gerald M. Reaven, MD. Lipids. 2009 Apr;44(4):297-309. Carbohydrate restriction has a more favorable impact on the metabolic syndrome than a low fat diet. Volek JS, Phinney SD, Forsythe CE, Quann EE, Wood RJ, Puglisi MJ, Kraemer WJ, Bibus DM, Fernandez ML, Feinman RD. J Clin Invest. 1936 Nov; 15(6): 665–671. The Glycemic Response to Isoglucogenic Quantities of Protein and Carbohydrate. Jerome W. Conn and L. H. Newburgh. N Engl J Med 1988; 319:829-834. Comparison of a High-Carbohydrate Diet with a High-Monounsaturated-Fat Diet in Patients with Non-Insulin-Dependent Diabetes Mellitus. Abhimanyu Garg, M.B., B.S., M.D., Andrea Bonanome, M.D., Scott M. Grundy, M.D., Ph.D., Zu-Jun Zhang, M.D., and Roger H. Unger, M.D. Metabolism. Volume 41, Issue 12, December 1992, Pages 1373-1378 Metabolism. A high-monounsaturated-fat/low-carbohydrate diet improves peripheral insulin sensitivity in non-insulin-dependent diabetic patients. M. Parillo, A.A. Rivellese, A.V. Ciardullo, B. Capaldo, A. Giacco, S. Genovese, G. Riccardi. The Journal of Clinical Endocrinology & Metabolism, Volume 86, Issue 3, 1 March 2001, Pages 1040–1047, Effect of Protein Ingestion on the Glucose Appearance Rate in People with Type 2 Diabetes. M. C. Gannon J. A. Nuttall G. Damberg V. Gupta F. Q. Nuttall. Obesity (2016) 24, 79–86. Weight Loss on Low-Fat vs. Low-Carbohydrate Diets by Insulin Resistance Status Among Overweight Adults and Adults With Obesity: A Randomized Pilot Trial. Christopher D. Gardner, Lisa C. Offringa, Jennifer C. Hartle, Kris Kapphahn, and Rise Cherin. Bonnie J. Brehm, Randy J. Seeley, Stephen R. Daniels, David A. D’Alessio. A Randomized Trial Comparing a Very Low Carbohydrate Diet and a Calorie-Restricted Low Fat Diet on Body Weight and Cardiovascular Risk Factors in Healthy Women. The Journal of Clinical Endocrinology & Metabolism, Volume 88, Issue 4, 1 April 2003, Pages 1617–1623. Nutr Metab (Lond). 2006 Jan 11;3:7. Comparison of isocaloric very low carbohydrate/high saturated fat and high carbohydrate/low saturated fat diets on body composition and cardiovascular risk. Noakes M, Foster PR, Keogh JB, James AP, Mamo JC, Clifton PM. Jeannie Tay B Nutr Diet (Hons), Grant D. Brinkworth PhD, Manny Noakes PhD, Jennifer Keogh M Sc, Peter M. Clifton PhD. Metabolic Effects of Weight Loss on a Very-Low-Carbohydrate Diet Compared With an Isocaloric High-Carbohydrate Diet in Abdominally Obese Subjects. Journal of the American College of Cardiology, Volume 51, Issue 1, 1–8 January 2008, Pages 59-67. JAMA. 1994 May 11;271(18):1421-8. Effects of varying carbohydrate content of diet in patients with non-insulin-dependent diabetes mellitus. Garg A, Bantle JP, Henry RR, Coulston AM, Griver KA, Raatz SK, Brinkley L, Chen YD, Grundy SM, Huet BA, et al. Nutrition & Metabolism2004 1:6. Metabolic response of people with type 2 diabetes to a high protein diet. Frank Q Nuttall, Mary C Gannon. Obes Facts. 2017 Jul; 10(3): 238–251. Effect of a High-Protein Diet versus Standard-Protein Diet on Weight Loss and Biomarkers of Metabolic Syndrome: A Randomized Clinical Trial. Ismael Campos-Nonato, Lucia Hernandez, and Simon Barquera. J Clin Invest. 1988 Feb; 81(2): 442–448. Twenty-four-hour profiles and pulsatile patterns of insulin secretion in normal and obese subjects. K S Polonsky, B D Given, and E Van Cauter. Nutrients. 2013 Jun; 5(6): 2019–2027. Body Fat Distribution and Insulin Resistance. Pavankumar Patel* and Nicola Abate. Connor WE, Prince MJ, Ullmann D, et al. The hypotriglyceridemic effect of fish oil in adult-onset diabetes without adverse glucose control. Ann N Y Acad Sci 1993;683:337–40. Fish Oil and Glycemic Control in Diabetes. DIABETES CARE, VOLUME 21, NUMBER 4, APRIL 1998. Frieberg, et.al.). Insulin Response to Glucose in Diabetic and Nondiabetic Subjects. John D. Bagdade, Edwin L. Bierman, and Daniel Porte Jr. Journal of Clinical Investigation. October 1, 1967. Diabetes Care 1991 Mar; 14(3): 173-194. Insulin Resistance: A Multifaceted Syndrome Responsible for NIDDM, Obesity, Hypertension, Dyslipidemia, and Atherosclerotic Cardiovascular Disease. Ralph A DeFronzo, MD and Eleuterio Ferrannini, MD. Diabetes 2017 Apr; 66(4): 815-822. Role of Adipose Tissue Insulin Resistance in the Natural History of Type 2 Diabetes: Results From the San Antonio Metabolism Study. Amalia Gastaldelli, Melania Gaggini and Ralph A. DeFronzo. J Clin Invest. 2000;106(4):473-481. Obesity and insulin resistance. Barbara B. Kahn, Jeffrey S. Flier. Diabetes. 2000 Dec; 49(12): 2063–2069. Mechanism by Which Metformin Reduces Glucose Production in Type 2 Diabetes. Ripudaman S. Hundal, Martin Krssak, Sylvie Dufour, Didier Laurent, Vincent Lebon, Visvanathan Chandramouli, Silvio E. Inzucchi, William C. Schumann, Kitt F. Petersen, Bernard R. Landau, and Gerald I. Shulman. BMC Endocr Disord. 2016. Efficacy and safety of insulin in type 2 diabetes: meta-analysis of randomised controlled trials. Erpeldinger S, et al. Diabetes Care 1980 Mar; 3(2): 270-273. “Normal” Insulin Secretion: The Goal of Artificial Insulin Delivery Systems? R Philip Eaton, Richard C Allen, David S Schade and James C Standefer. Metabolism Volume 50, Issue 1, January 2001, Pages 47-52. Quantitative contributions of gluconeogenesis to glucose production during fasting in type 2 diabetes mellitus. Alexandre Wajngot, Visvanathan Chandramouli, William C. Schumann, Karin Ekberg, Paul K. Jones, Suad Efendic, Bernard R. Landau. Clin Sci (Lond). 2016 Jun 1;130(12):1017-25. Impaired glucose tolerance after brief heat exposure: a randomized crossover study in healthy young men. Faure C, Charlot K, Henri S, Hardy-Dessources MD, Hue O, Antoine-Jonville S.
Appetite. 2010 Aug; 55(1): 37–43. Effects of stevia, aspartame, and sucrose on food intake, satiety, and postprandial glucose and insulin levels. Stephen D. Anton, Ph.D., Corby K. Martin, Ph.D., Hongmei Han, M.S., Sandra Coulon, B.A., William T. Cefalu, M.D., Paula Geiselman, Ph.D., and Donald A. Williamson, Ph.D.
Diabetes Care 2004 Jan; 27(1): 281-282. Vinegar Improves Insulin Sensitivity to a High-Carbohydrate Meal in Subjects With Insulin Resistance or Type 2 Diabetes. Carol S. Johnston, PHD, Cindy M. Kim, MS and Amanda J. Buller, MS.
Nutrients. 2013 May; 5(5): 1544–1560. Non-Alcoholic Fatty Liver Disease (NAFLD) and Its Connection with Insulin Resistance, Dyslipidemia, Atherosclerosis and Coronary Heart Disease. Melania Gaggini, Mariangela Morelli, Emma Buzzigoli, Ralph A. DeFronzo, Elisabetta Bugianesi, and Amalia Gastaldelli. Michelle C Venables, Carl J Hulston, Hannah R Cox, Asker E Jeukendrup; Green tea extract ingestion, fat oxidation, and glucose tolerance in healthy humans, The American Journal of Clinical Nutrition, Volume 87, Issue 3, 1 March 2008, Pages 778–784. Br J Nutr. 2009 Mar;101(6):886-94. Effects of dietary supplementation with the green tea polyphenol epigallocatechin-3-gallate on insulin resistance and associated metabolic risk factors: randomized controlled trial. Brown AL, Lane J, Coverly J, Stocks J, Jackson S, Stephen A, Bluck L, Coward A, Hendrickx H.
Ann Intern Med. 2017;167(6):365-374. Continuous Glucose Monitoring Versus Usual Care in Patients With Type 2 Diabetes Receiving Multiple Daily Insulin Injections: A Randomized Trial. Roy W. Beck, MD, PhD, et.al. Gisela Wilcox. Insulin and Insulin Resistance. Clin Biochem Rev. 2005 May; 26(2): 19–39. Proc Natl Acad Sci U S A. 2009 Sep 8; 106(36): 15430–15435. Intrahepatic fat, not visceral fat, is linked with metabolic complications of obesity. Elisa Fabbrini,et.al. Erion, K.A. & Corkey, B.E. (2017). Hyperinsulinemia: a Cause of Obesity? Curr Obes Rep (2017) 6: 178. Shanik MH1, Xu Y, Skrha J, Dankner R, Zick Y, Roth J. (2008). Insulin resistance and hyperinsulinemia: is hyperinsulinemia the cart or the horse? Diabetes Care. 2008 Feb;31 Suppl 2:S262-8. Welcome to the Low Carb Studies BLOG! This BLOG will replace My T2D BLOG since my interests have expanded well beyond Type 2 Diabetes. This BLOG will cover subjects relating to Low Carbohydrate Dieting but will concentrate on the science of Low Carbohydrate Diets. Author DougPosted on March 27, 2018 March 27, 2018 Categories DiabetesLeave a comment on Welcome to the Low Carb Studies BLOG!